During my visit to Japan in October 2015 I visited the Tofukuji temple, one of the largest Zen temples in Japan. To get a sense of this magnificent temple, please visit my Tofukuji album on my Facebook page. Tofukuji (東福寺, Tōfukuji) is particularly famous for its spectacular autumn colors. The temple was founded in 1236 at the behest of the powerful Fujiwara clan. Its name is a combination of the names of two great temples in Nara that were also associated with the Fujiwara, Todaiji Temple and Kofukuji Temple. 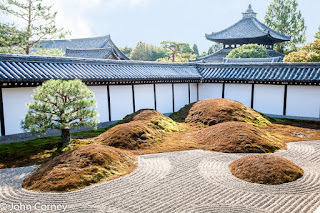 Tofukuji has historically been one of the principal Zen temples in Kyoto, and is a head temple of one of the schools of the Rinzai sect of Zen Buddhism. Please enjoy some of the photos of Tofukuji that I took in the album at my Facebook page.